Just like last year, I’ve compiled a playlist of tracks for you to keep on repeat through summer cookouts, trips to the beach, and slow rolling down the street with your windows rolled down. The whole thing is downloadable, so get it now. There’s no excuse for using that same tired playlist you’ve had stored up for years. 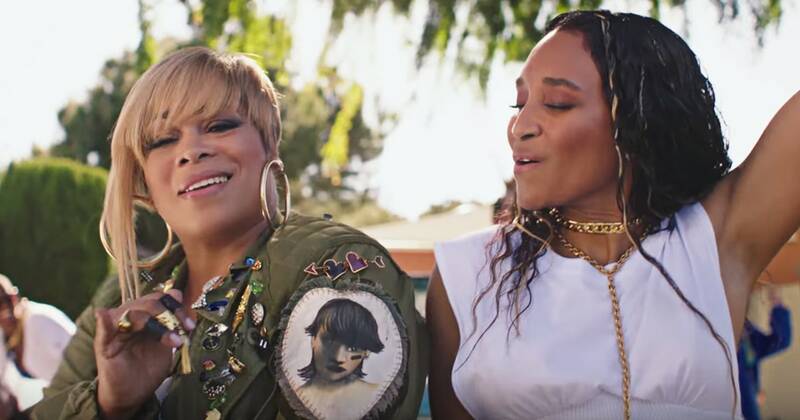 Opening things up are music veterans TLC with their new summer single “Way Back” featuring Snoop Dogg. This song has that classic summer feel to it, and that TLC sound is still intact. Snoop’s verse will make you feel like you’re back in the 90’s. And if that doesn’t do the trick, the video depicts the perfect summer party. Indie artist Iman Europe delivers on a soulful interpretation of J. Cole’s 4 Your Eyez Only track “Foldin’ Clothes”. This songstress has one of those voices that soothes straight to the soul and is definitely one to watch. DMV area based rapper GoldLink is up next. His song “Meditation” featuring Jazmine Sullivan is a monster, guaranteed to get anybody up and dancing. UK soul artist Daley hasn’t released an album since 2014’s Days & Nights, but his new single “Until The Pain Is Gone” featuring Jill Scott is an instant classic. Fall in love (again) with his feathery falsetto and hypnotic mellow vibe. The good music continues with Tamar Braxton’s new ballad “My Man”, “Every Kind of Way” from the mysterious new singer only known as H.E.R., and Missy Elliott’s newest “I’m Better” featuring Lamb. But last and certainly not least is “Rollercoasters” from NPR Tiny Desk contest winners Tank and the Bangas. Evoking the unique combination of fear and joy that comes with riding a rollercoaster, leader Tank is a revelation from her poignant poetry to her impeccable vocals. July 6, 2013 New Music Videos from Fantasia, Janelle Monae, and … Eddie Murphy?